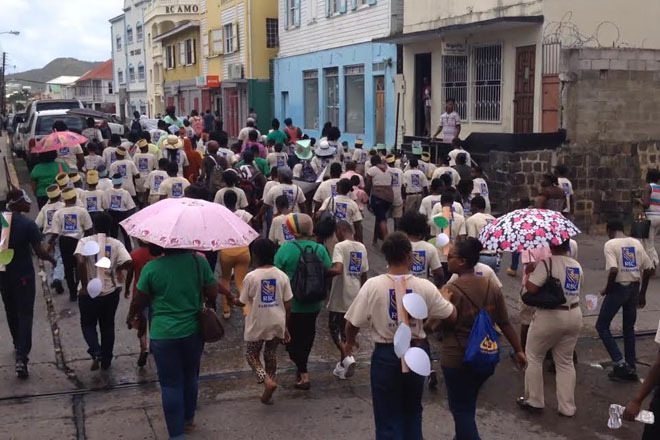 Students of the Cotton Thomas Comprehensive School showcased the importance of reading as they marched through the streets of Basseterre on Friday dressed as their favourite storybook characters. The march signalled the conclusion of the school’s Reading Week of Activities. Throughout the week the students participated in an effective reading competition, a wacky day where they were given the opportunity to dress up as their favourite storybook character and a drama and fairytale night. The Cotton Thomas Comprehensive School’s reading Week of Activities was observed under the theme “Splash into Reading”.